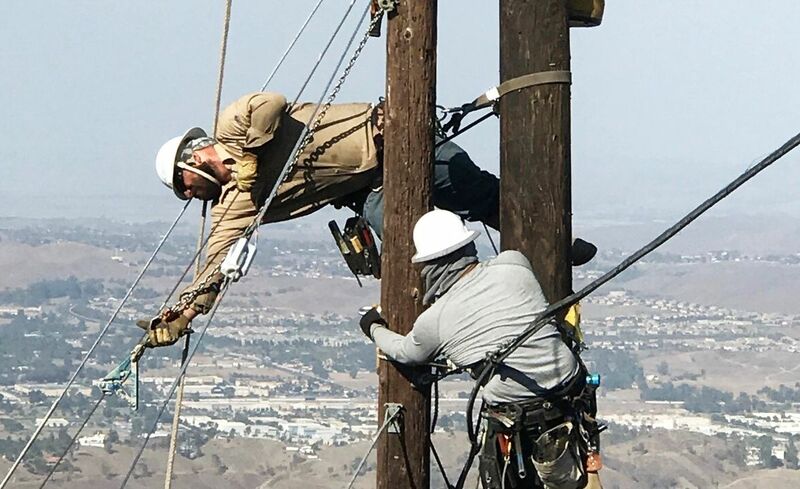 The work often requires airlifting power poles and materials to crews in the steep, mountainous terrain. 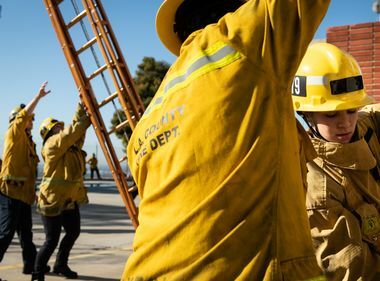 The Holy Fire began in south Orange County’s Holy Jim Canyon on Aug. 6 and quickly burned through the Cleveland National Forest into Riverside County. 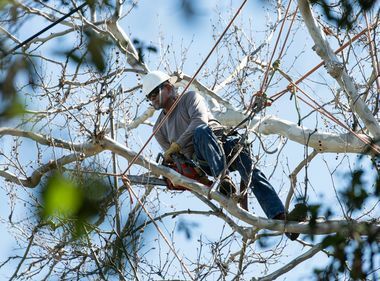 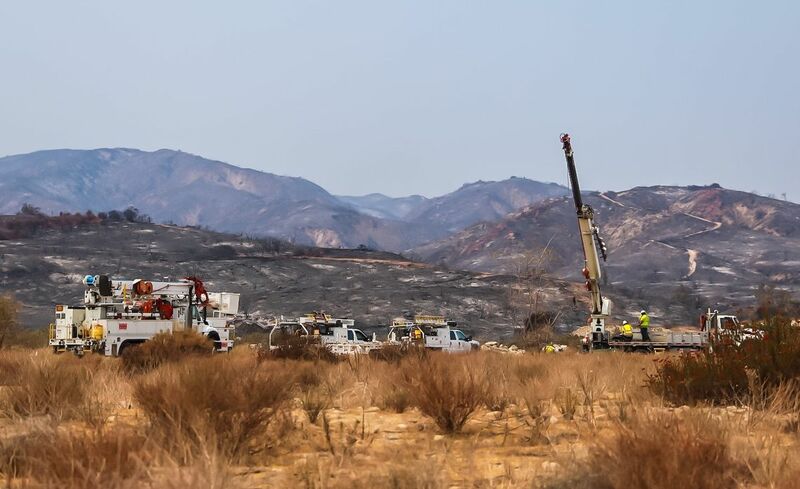 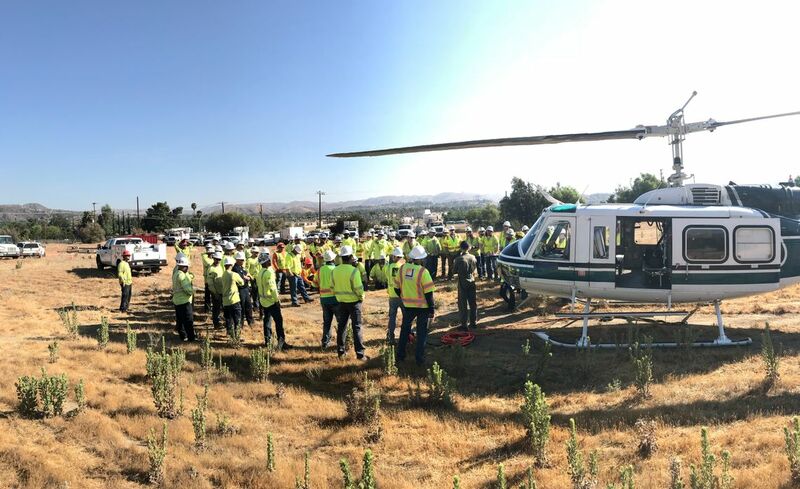 As soon as fire authorities said it was safe to enter the burn area, Southern California Edison crews got to work replacing power poles and wire that had been damaged. 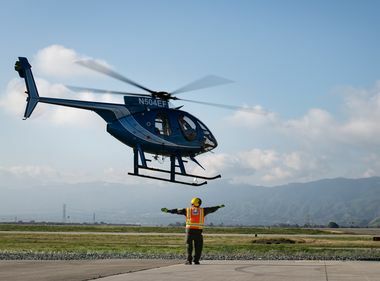 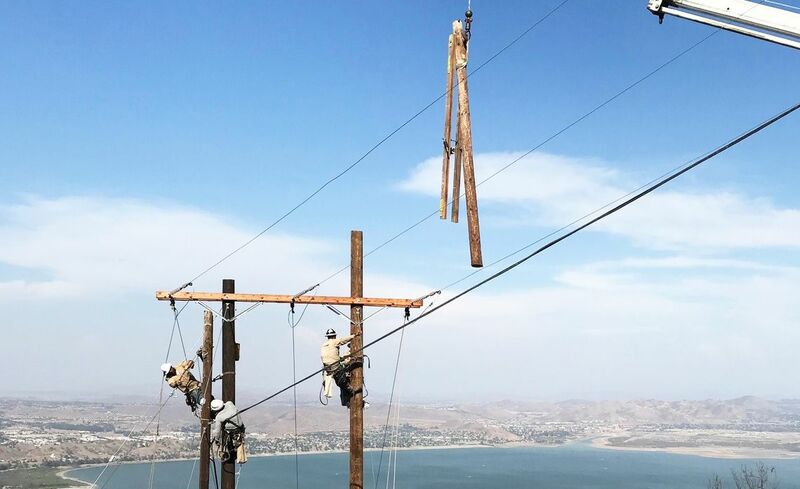 A helicopter often was needed to airlift power poles and materials to crews working on the steep mountainsides high above Lake Elsinore. 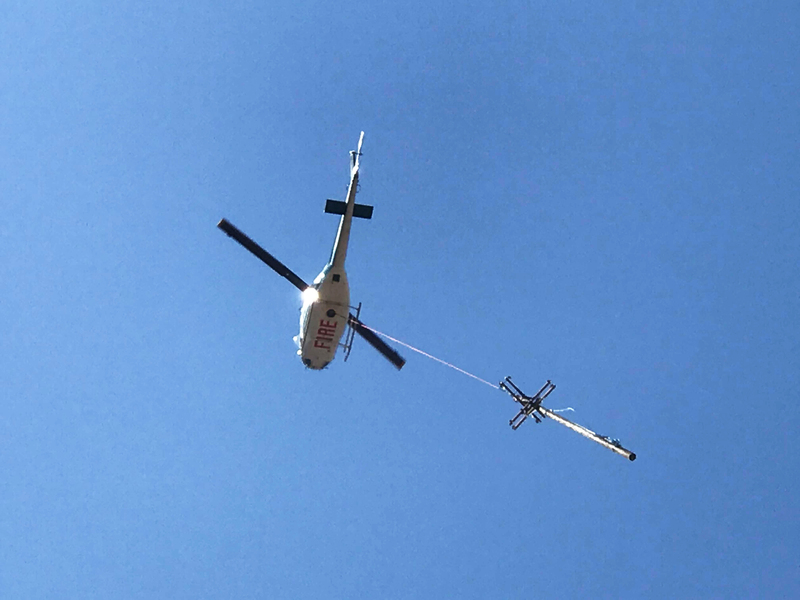 In other cases, cranes were called in to do the heavy lifting.